Children activities and tours at the EHC. School group tours are available. The tour includes an interactive exhibit on Evanston history. Please visit the Education page for a selection of pre- and post-visit activities for the classroom. 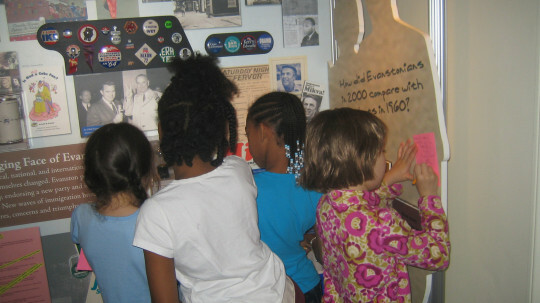 We can help tailor your school group tour according to a variety of lesson plans. To get more information on school group tour options, please call 847-475-3410 or email Kris Hartzell.